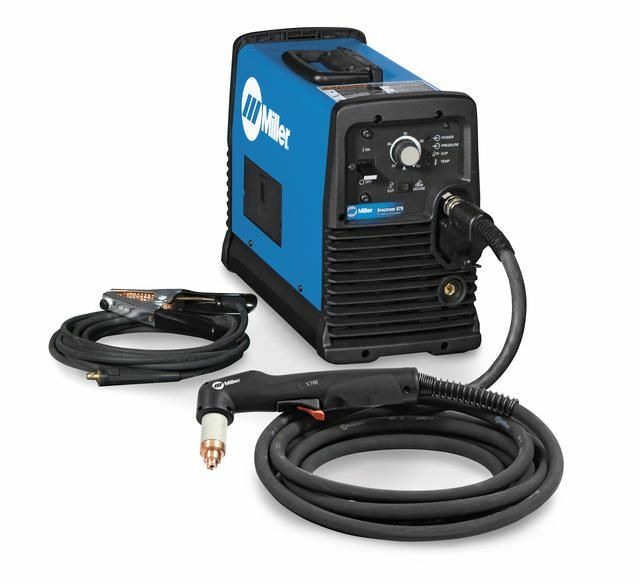 Miller Spectrum® 875 Plasma Cutter with 50 foot XT60 torch has compact size but 60 amps of output power. It features easy operator controls, for optimum cutting and gouging performance. How will it perform on 1"x"1" a36 sq. Bar ? Required Input Pressure/Flow is 6.75 cfm (191 L/min.) at 90 psi minimum (621 kPa),120 psi maximum (828 kPa). Great plasma cutter, and it came ready to go right out of the box. If I would have known how much I would have used a plasma cutter I would have got one a long time ago. ProsThe Spectrum 875 is very easy to use, and cuts through 5/8 steel like butter. I am very satisfied with this purchase.